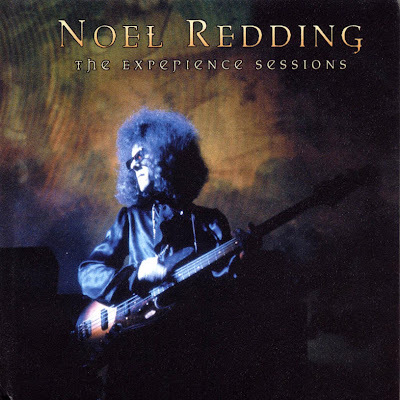 Noel Redding: The Experience Sessions presents a collection of solo recordings Noel Redding made during his tenure as bassist for the Jimi Hendrix Experience. In 2002, Redding and Experience Hendrix entered into an agreement to release these rare and previously unreleased recordings coupled with "She's So Fine" and "Little Miss Strange," the bassist's two most recognized original compositions. Noel Redding: The Experience Sessions showcases Redding's development as a solo artist, predating his fateful decision to leave the Jimi Hendrix Experience in June 1969 to join Fat Mattress. While nearly all of the songs feature accompaniment by Hendrix and drummer Mitch Mitchell, none of them were ever intended for release as part of a Jimi Hendrix Experience album. Redding had instead, with increasing concentration, begun to develop original material for a solo venture that would ultimately take form as Fat Mattress. With little time available to Hendrix to focus on developing new material, the Experience struggled to make progress on a follow-up to Electric Ladyland. The double album's enormous international success masked the dissension that had plagued the group in the recording studio. Beginning in October 1968, the Experience unsuccessfully endeavored to make progress on a finished album. In the place of songs composed prior to entering the recording studio, jamming now became Hendrix's principal songwriting device. This strategy, however, ran contrary to Redding's desire, as the bassist was particularly affected by what he viewed as the group's lack of progress and overall focus. Burdened with an exhaustive schedule of personal appearances, the tense relationship between Hendrix and Redding further deteriorated. Frustrated, Hendrix reached out to old friend and bassist Billy Cox in April 1969, with whom he had served in the US Army and performed on the famed R&B `chitlin' circuit' prior to leaving for New York. Two months later, Redding would make the next move. Immediately following the final concert of the Experience's US tour in Denver, June 29, 1969, the bassist elected to leave the group and return to London. He would join Fat Mattress, a collection of his old friends and serve full time as their guitarist. Redding's swift departure effectively severed his ties with Hendrix. Little contact between the two took place thereafter until an awkward February 1970 Experience `reunion,' wholly orchestrated by Hendrix's manager Michael Jeffery, ended almost immediately after it was proposed. Hendrix made his preference for Billy Cox clear and Redding was left to focus on developing a solo career. Chronologically, Noel Redding: The Experience Sessions begins with "She's So Fine," the song that announced Noel's emergence as a composer. In addition to the original Axis: Bold As Love album cut, The Experience Sessions presents the instrumental backing track that reveals just how intensely Hendrix and Mitchell contributed to Redding's effort. The same December 1967 sessions from which "Crosstown Traffic" would materialize also yielded "Dream". Here, Hendrix and Redding switched instruments with Jimi providing extraordinary accompaniment on bass. It is not known whether Redding ever returned to this intriguing demo, but its potential remains clear. The basic rhythm track for the album opener "There Ain't Nothing Wrong" was recorded on December 28, 1967 by Hendrix, Mitch Mitchell, and Traffic guitarist Dave Mason. This recording is particularly unique in that Noel, under the direction of former Jimi Hendrix Experience producer Chas Chandler in 1988, composed lyrics, recorded a lead vocal, and added new bass parts to this previously unissued Jimi Hendrix session. A live rendition of "Red House" provides another highlight. This version, recorded at the Paris Olympia on January 29, 1968, features Redding recreating the studio take by playing bass heavy rhythm guitar in support of Hendrix. Sessions for Electric Ladyland moved from London to New York's Record Plant in April 1968. In and around Hendrix's sessions for the album, Redding continued assembling a cache of original songs. "Little Miss Strange" was the strongest of these new works. Here the original Electric Ladyland track is presented as well as an alternate version recorded before Hendrix added his own distinctive contributions. "Little, Little Girl" is a newly discovered gem. Early versions of both "Walking Through The Garden," which features Traffic's Chris Wood on flute, and "How Can I Live?" make their debut as part of this collection. Redding would rerecord both for Fat Mattress's 1969 self-titled debut. In the aftermath of the Experience's two sold out performances at London's Royal Albert Hall in February 1969, the group engaged in a series of recording sessions at Olympic Studios. These two takes of "Noel's Tune" reveal another budding Redding original not previously known. Jimi provides some forceful lead guitar throughout take one. For the second, Redding was alone on guitar and throttled back the song's tempo to perhaps better fit his original creative vision. Unfortunately, Noel was unable to fully complete this song before his tenure in the Experience came to a close in June 1969. With Noel's unexpected passing at the age of 57 on May 15, 2003, one cannot help but feel that the story of his musical legacy has only been partly told. Noel Redding: The Experience Sessions sheds valuable light on his development as a solo artist and the substance of the Noel Redding legacy. Originally issued as part of Stages. Could this be re-upped in lossless if possible? Thanks.